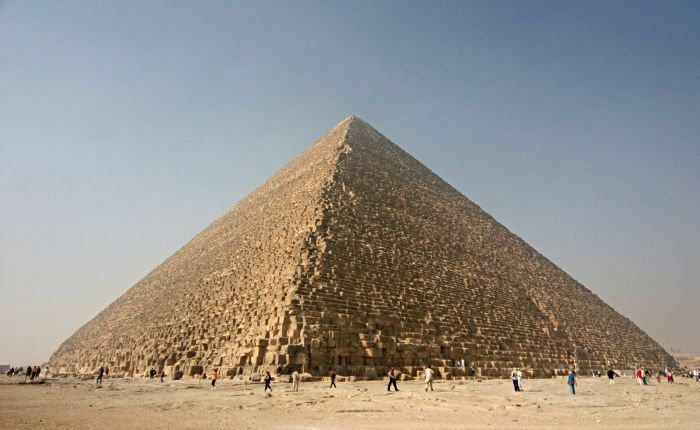 Historians concur that The Great Pyramid was ‘glass-like’ shiny, 4,000 years ago! The Great Pyramid of Giza still remains the oldest yet largest of the trio of imposing structures in the Giza Necropolis. Interestingly, it is also the oldest among the Seven Ancient Wonders of the World, and yet showcases a relatively intact form – as a testimony to the engineering skills of the Ancient Egyptians. But there is more to this hulking yet immaculate specimen of human craftsmanship. As it turns out – the Great Pyramid exhibited its gloriously glistening facades after its grand completion more than 4,000 years ago. In a short documentary put forth by the Smithsonian Channel, Jacquelyn Williamson, a Harvard University Egyptologist, gives us details on how the ancient craftsmen and artisans carved and finished the humongous blocks of limestone that are also known as ‘casing stones’. These slanting, yet flat-topped blocks were primarily used for the external facades of the pyramid. And, according to the documentary, the stone surfaces were nigh polished to perfection with a range of abrasives like sandstone, brick and fine sand – in a process not only requiring time and effort, but also refined skills of craftsmanship. Interestingly, Williamson also sheds some light on how the grand endeavor of building pyramids was not only about the impressive outcome. The stately structures also pertain to the incredible organizational skills of the administrators and architects of that period – with these massive-scaled projects involving beyond thousands of workers, craftsmen and artisans; along with hundreds of kilometers of distance being covered for just acquiring the basic building materials. You can also check out the other fascinating facts that you probably didn’t know about the Great Pyramid. 1 Comment on "Historians concur that The Great Pyramid was ‘glass-like’ shiny, 4,000 years ago!" 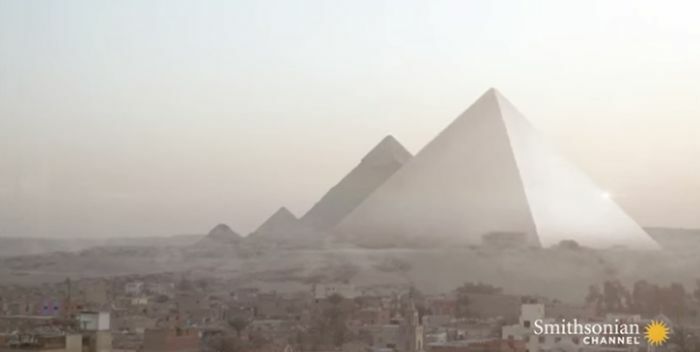 At least one pyramid should be redone to it’s original appearance!